When listening, click on the YouTube button for more features, including links to the songs! 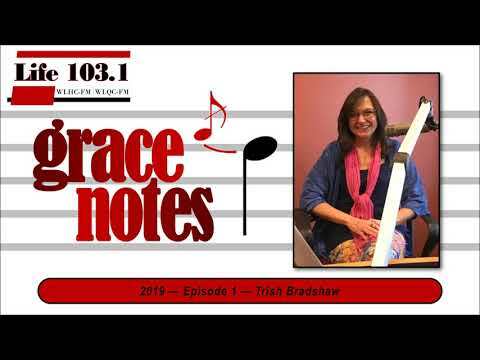 If you’d like to nominate someone for Grace Notes, click here! 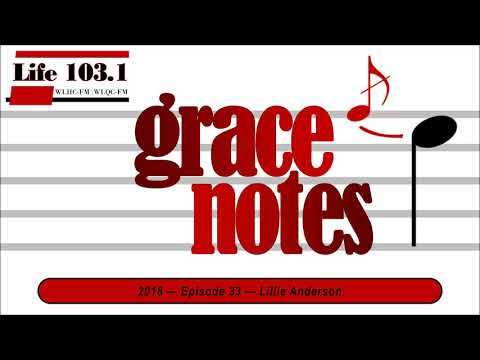 A special Valentine's episode of Grace Notes celebrating songs about love. Bill Myers' passion for music has characterized his life for more than eight decades - first as a young boy in the 1930s, and later during his time of service in Korea, and then back in NC where he settled down and became a music educator and school administrator. In 1957, he founded a band, The Monitors, which is still going strong. He saw segregation and integration up closed, and serves as the Executive Director of the "Round House and African American Museum" in Wilson. Bill's stories - and his upbeat outlook on life - are just plain inspiring, and fun. Trish Bradshaw is a woman whose love of dance blossomed early, through her mother in New Jersey, and has flourished for some 25 years now in North Carolina, where she has choreographed countless stage production at all levels and owned and operated a theatrical dance studio in Wilson. Dance is how Trish nurtures kids, mentors adults, and gives back to her community. She refuses to measure her success in financial terms, saying it's impossible for her to turn away a child who just wants to dance. Her enthusiasm is contagious. 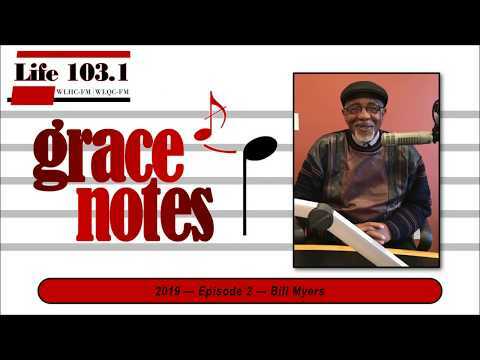 A special edition of Grace Notes featuring Christmas songs chosen by staff members. Donell Collier, founder of a 501(c)(3) organization whose mission is to help recovering substance abusers and former prisoners. Now a maintenance supervisor and pastor, he is candid and humble, and having seen his own life transformed, he has turned his own personal experience into a ministry to those most in need of transitional assistance. Lillie Anderson, current Chairman of the Salvation Army Advisory Board in Nash and Edgecombe Counties. Lillie grew up attending the Salvation Army Church in Raleigh and their spirit of giving year round has stuck with her throughout her life - and she still rings the bell for the Salvation Army’s Red Kettle Drive. Lillie's dedication and optimism are a real encouragement... and she knows her music! 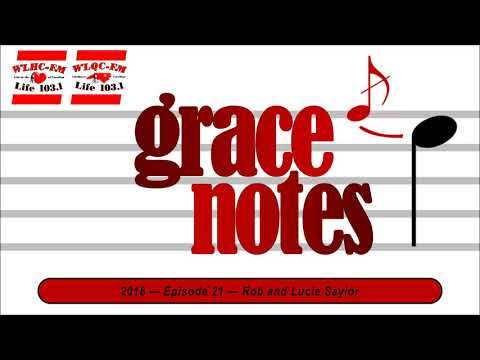 A special edition of Grace Notes featuring A Capella Christmas songs. A special edition of Grace Notes featuring staff picks centered around Thanksgiving. Dan Jones, a longtime resident of NC, was drafted in 1943 and was eventually stationed in the Pacific, where he was active in the B-29 bomber assault on Japan. Megin Duff, a mother of four whose willingness to help a stranger in need made a direct impact on us recently here at the station. And that despite her family's own substantial challenges. Through it all, believing that laughter is the best medicine, they've forged a remarkable bond. Tim Kilcoyne, a California chef and restaurateur who is currently on the East Coast with World Central Kitchen helping to provide hot meals for recovery crews and victims of Hurricanes Florence and Michael. After the Thomas Wildfire threatened his business and home last winter, Tim decided to get involved and help others in need. Shirille Lee is a woman who has dedicated her life to making a difference in the lives of children. A Chatham County native, Shirille has fostered over 40 children herself and heads up the mentoring program for her county's Communities in Schools organization. Joe Justice is a man whose humble beginnings were transformed by his exposure to the North Carolina Symphony as a school boy, and his life has been shaped by a love and appreciation for music. After a 33-year career with Bridgestone-Firestone, Joe turned to furniture restoration and woodworking. That led him to a position at the Whirligig Park in Wilson, restoring the Whirligigs of Vollis Simpson, the official folk art of North Carolina. Songs featuring gratitude and thankfulness in celebration of World Gratitude Day. Brenda Whaley is a devoted mother of two who - along with three others - recently founded a non-profit organization with the goal of inclusion for special needs children, as well as their siblings and parents. Caring for her own son - who suffered a stroke in-utero - has inspired Brenda to help all family members to fell included and loved. Helen Harwood is a cancer survivor whose advocacy on behalf of other cancer patients has brightened the lives of many for decades. With her husband of 58 years, she founded and directs a nonprofit called "Pennies from Angels," an organization that receives donations and distributes funds to people in crisis. Ron and Lucie Saylor are a couple whose volunteer work on their later years has brightened the lives of many. Their story about Emmanuel Thrift Shop confirms the three-fold potential in the repurposing of merchandise - for donors, shoppers, and charities. Covey Denton, an award-winning science teacher and single mom who with her three kids has acted in concrete ways to make life better for others less fortunate, near and far. They are quite a team! Covey's balance in the face of her own life's challenges is inspiring, and her passion is contagious.